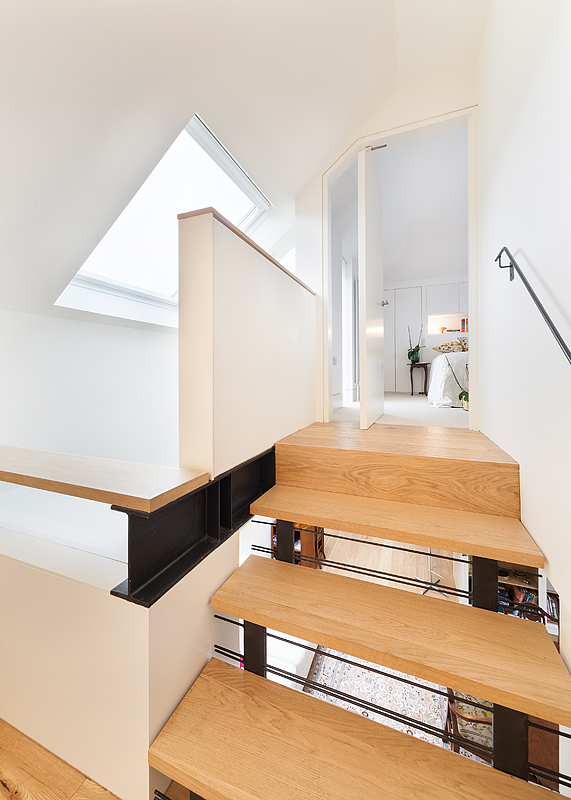 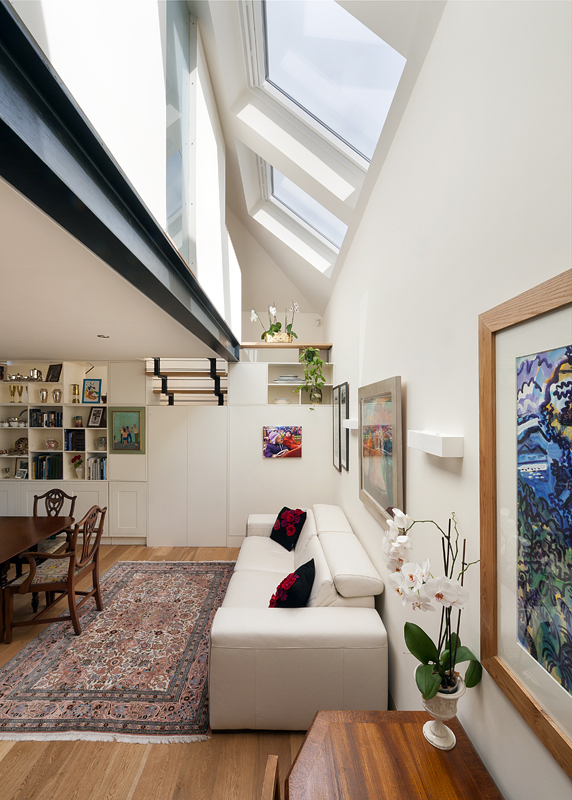 A significant alterations project to extend an existing cottage by transforming the adjacent former coach house. 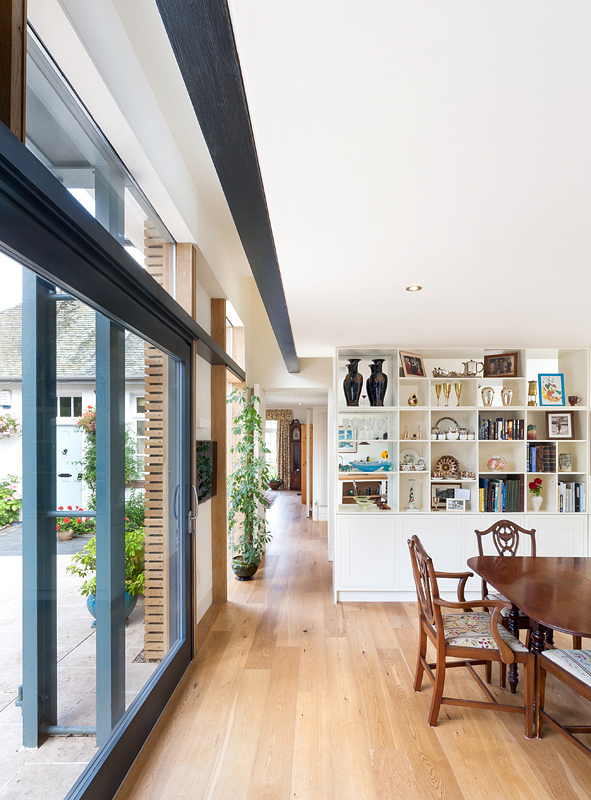 The ground floor of the coach house now contains a spectacular open-plan kitchen and dining space, and a second level was created to house an extra bedroom and bathroom. 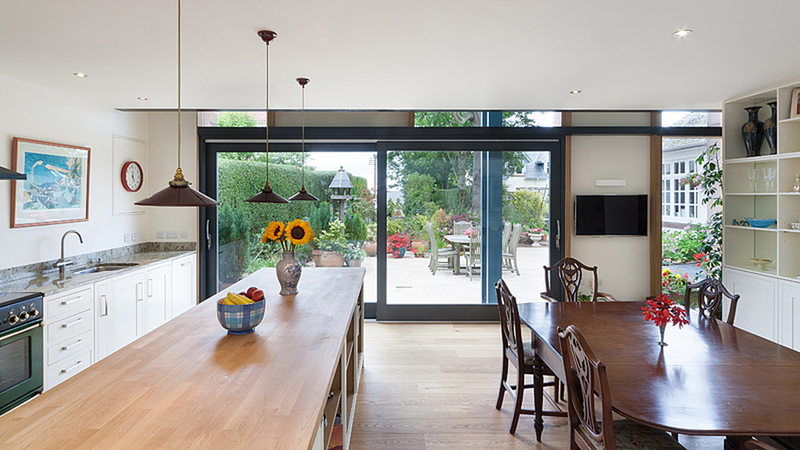 Once a row of glazed doors, the whole of the coach house elevation was opened up and a series of overlapping panels of glass, timber and sliding doors were inserted.